But wait! for this month there’s still more. A double special for the month of October!!!! 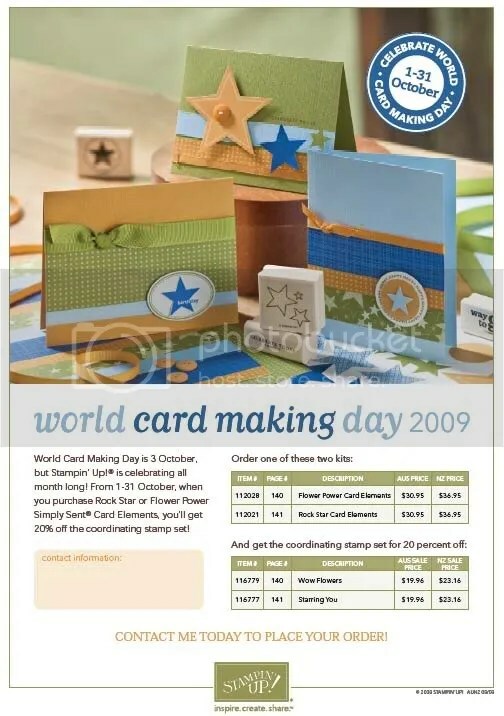 In celebration of World Card Making Day, Stampin’ Up! is offering the following promotion throughout the entire month of October: buy a Simply Sent Card Elements kit and get 20 percent off the coordinating stamp set–no limit!